Which world theme is your favorite? After numerous defeats in the hands of both Mario and Donkey Kong, King K. Rool and Bowser have joined forces and plan to rid the world of the Mario gang and DK crew. By successfully kidnapping DK and his crew, so it's up to Mario' and the gang to travel to the former island where Cranky Kong grew up at to defeat the duo and save the Kongs. With K. Rool and Bowser's lust for power, the two will surely clash as they fight against Mario and each other for more control over the Kremling Krew and the Koopa Troop. With the island being abandoned for years from the DK moving to his current island, much has changed. Poison water in the jungles, a desert invading some of the land, the Monkey Mines becoming mountainous, and the advancements in technology in the factory world, the challenge will be less familiar to Mario as the gang has to do what's more up DK and Diddy's alley. 7 Worlds are currently featured and I have everything layered in order by their themes and so on. Things could change in future updates, but here's how they stand now. 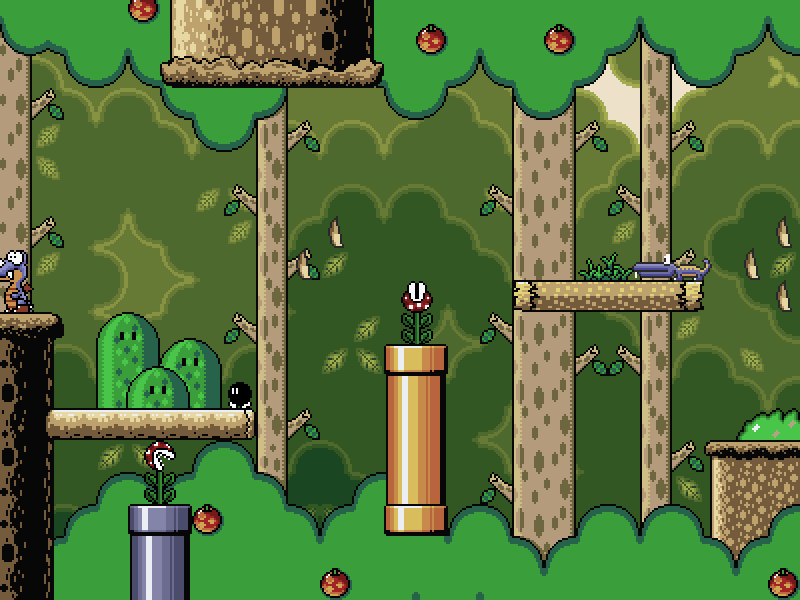 The level number will be labeled with something in parenthesis, whatever is in that is the theme for that level. 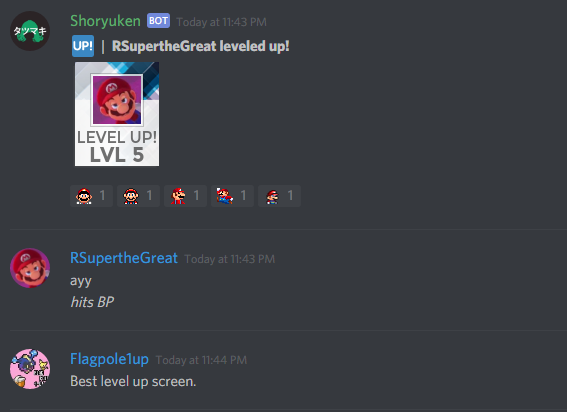 If the level is done, the name of that level will show up. Designers will be labeled on here too in color if they're working on a level listed below or claimed it for the future. So with the request for bonus levels and a bonus world, this will now go from a 59 level episode to an 81 level episode accounting for the bosses and the standard levels. The first 59 will be the goal to get done first, and if we get those done at a reasonable time, then we will do our very best to get the extra 22 levels in before our main production time ends. Once all levels are made, these people will test the levels and report back any errors. 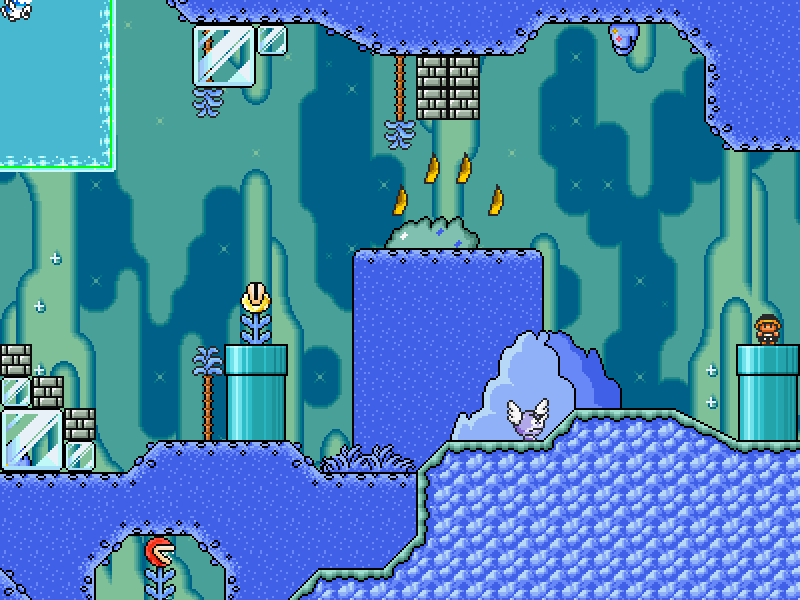 Clean up crew members are responsible for polishing the levels to make them as appealing as possible. If you want to be a Boss Designer, PM me. - Length of levels must not be too long! A level should be a fair length, if anything closer to the middle side for quality levels. I'm fine with some levels being of a longer length, but anything too drastic will not be accepted. 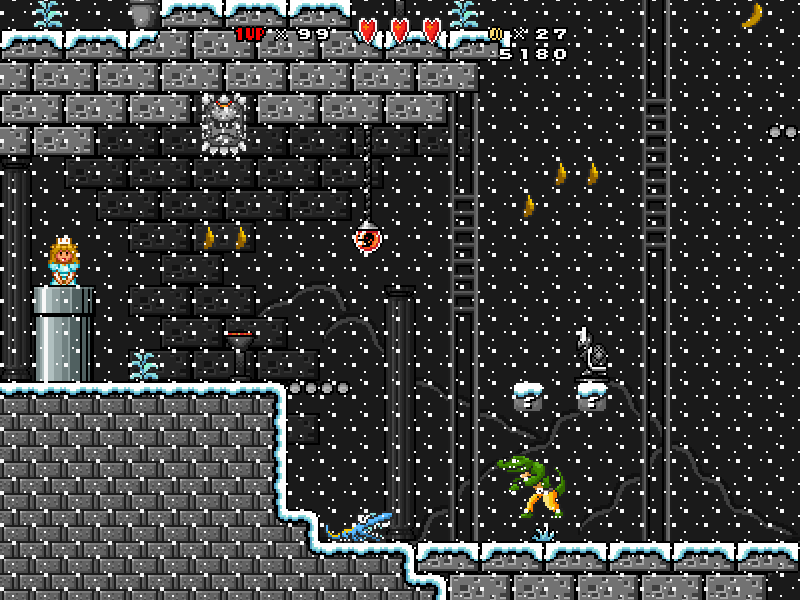 - Enemies involved should generally be a mix of Donkey Kong Country and Mario Enemies. I don't want to have too many different enemies involved in the game so this will work. Also it's acceptable to have levels with solely Mario or DK enemies. - Music Variety shouldn't be too extreme. 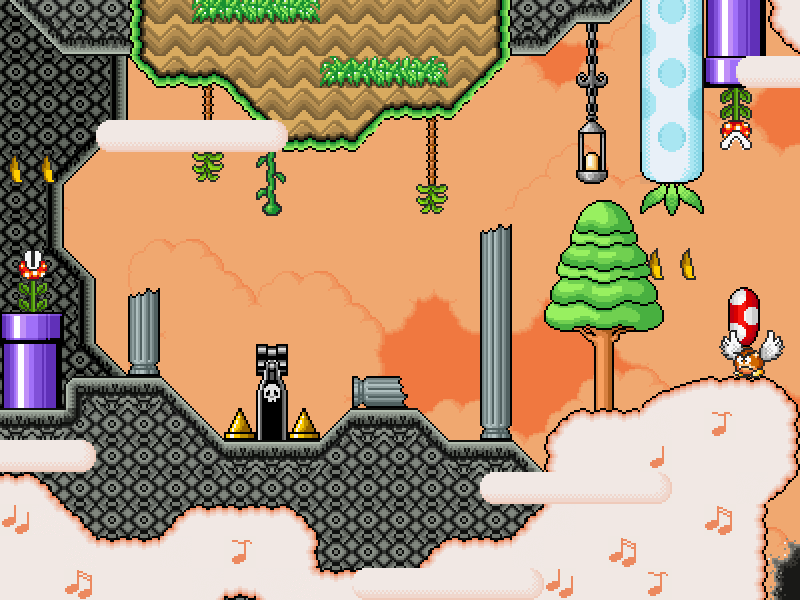 Music is a huge deal in making levels, so I want to make sure each theme gets its own respectable music. Like if there's a desert level with dubstep music then it won't be an approved song. - Graphics should be loyal to their respectful theme. Vanilla graphics can work for this episode, but I'm afraid some themes can be more restricted than others as far as graphics go. - Bonus rooms are well-known in the DKC series. 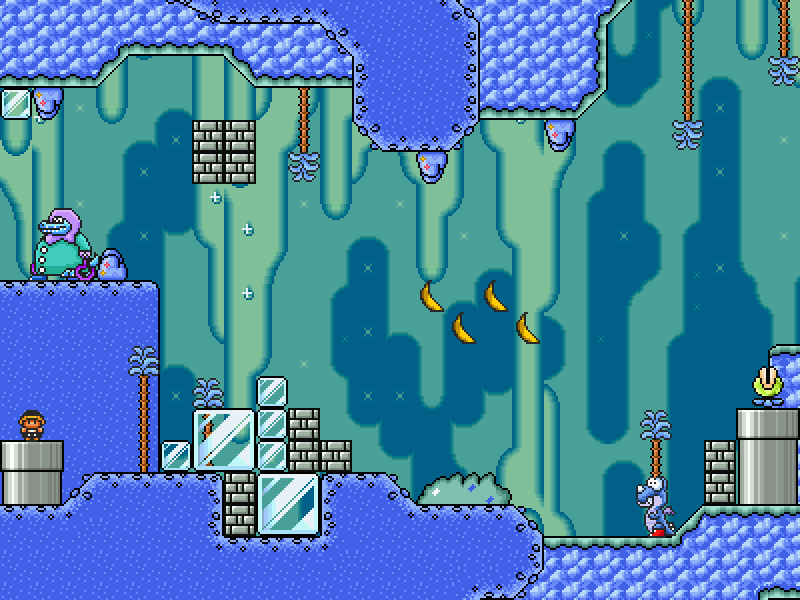 Not all levels have to have one in this episode, but it wouldn't hurt to have one or two of them in a level either. These are usually well hidden in levels too, but any questions on them I'll answer them all. - Difficulty should be pretty flexible, but it the level you make should be relatively reflective of the world it's in. World 1 being the easiest with World 5-7 should be the hardest worlds (NOT IMPOSSIBLE). - Purpose. All levels have a purpose, so make your level known for something. It could be visually beautiful, have memorable music, contain a unique gimmick, have excellent replay value, etc. You do what you want comrade! - NO LUNA LUA or related programs that wouldn't work in normal conditions. This is probably the biggest limitation, and I apologize for it. 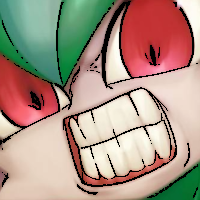 - NO SMBX 2.0 until it is out of Beta! -As a member of the team and with only 48 levels so far, I'd like to make it required that you submit at least five levels to the cause. That doesn't mean you can't do more levels, more levels would be great actually, but I want to make sure each designer gets an opportunity to contribute enough to the cause. -No stars are necessary n this episode, and I actually don't want any stars to be involved honestly. I want to keep levels to have a simple exit formula with no stars in it. 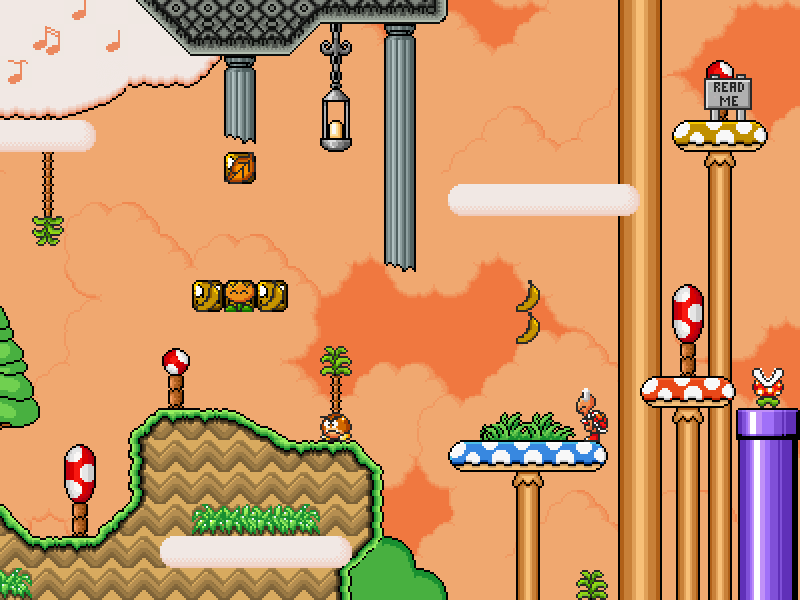 The preferred exits for levels would either be the off screen exit or the SMB3 exit. -For right now I want all levels you make to have only one exit. 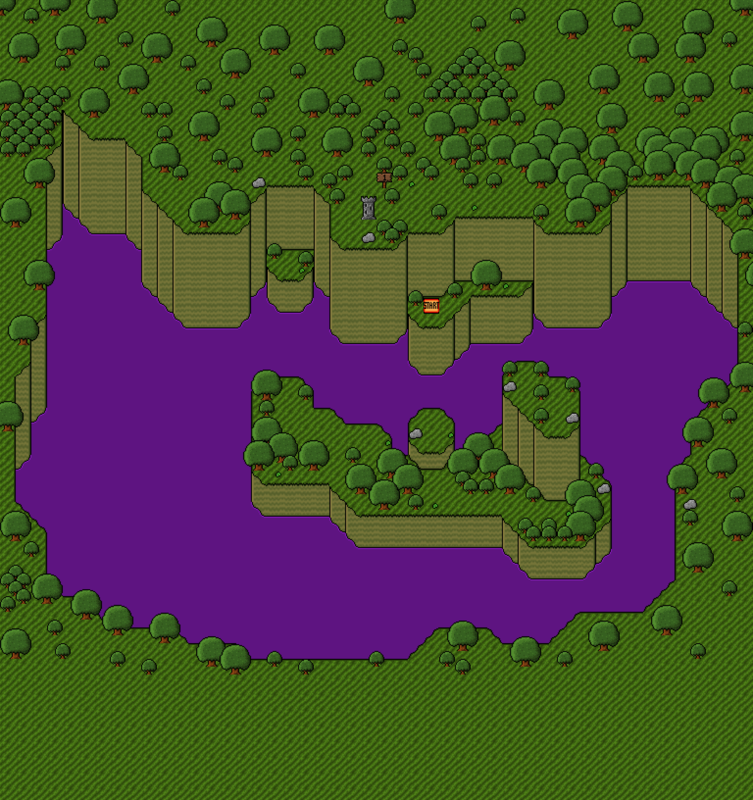 Once I go into map design with MECHDRAGON777, I will then highlight levels that need a secret exit. 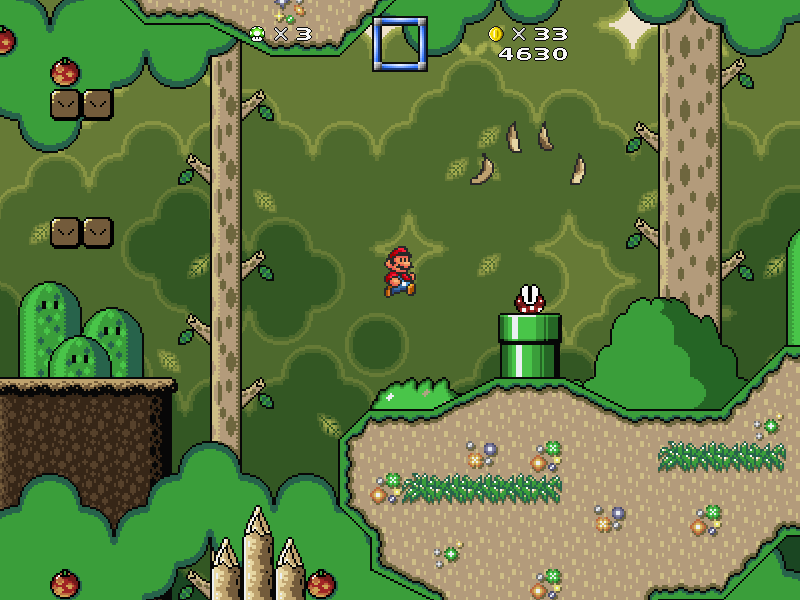 If the level is already complete, then either you or I could add the secret exit into the respected level. - CREATIVITY!!! Not all levels have to have some fancy gimmick to them, but I don't want any level that's just there to be there. Gimmicks are still a good touch to a level though that are supported for too. If you're on this team, I have faith that you are a very creative person that can help make this episode excellent! As cheesy as it sounds, make sure your level has love and passion in it. Holy mother that was a lot of stuff I typed in. So pretty much the progression of this episode is in its infancy, and I want to do justice with this idea. I'll take any support I can get, and would love to hear any questions, concerns, suggestions, random thoughts, etc. Any interests in helping, please PM and I'll be glad to answer back ASAP. Thank you guys for checking all of this out, and thank you for the support. I hope to make this episode a memorable one for all of you DKC fans as well as inviting to SMBX fans all around! I didn't originally want to do a demo, but since it's been highly requested by the few supporters I have, I got 5 levels here for you guys to check out and play. Last edited by The Thwomp King on Wed Apr 03, 2019 1:34 pm, edited 34 times in total. Good to see this is back. Can not wait to finish the world map. MECHDRAGON777 wrote: Good to see this is back. Can not wait to finish the world map. Yes sir! Progress shall continue from here on! It's a very small update, but I finally fixed the support banners so it links to this new page instead of the old one. Progress has been at a standstill, but the project is by no means finished. The team is still intact, and we do a light at the end of the tunnel, even if it's at a distance. I hope to get more support on this project once more, and thank you to those who have stayed committed to supporting this project!!! The Thwomp King wrote: It's a very small update, but I finally fixed the support banners so it links to this new page instead of the old one. I need to make a change/edit to my TTKC14 Level before I add it screenshot it. Should I do a video play through of it and post it or just a screenshot @TheThwompKing? Preferably a screenshot right now. Also I'd wait for the structure contest results to make more changes just in case. The intro sequence will be discussed later though. 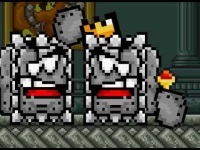 The Thwomp King wrote: The intro sequence will be discussed later though. 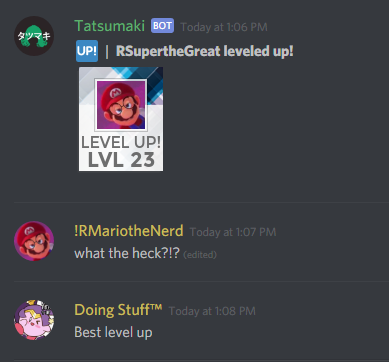 It is the only image of the level I got/took. I still need to fix the bonus room of the level to be possible since I did not really test THAT to well. Yeah I'm thinking to keep the episode simple with no intro sequences. And yeah let me know when you finish editing that level. Hey for those of you who follow this, come check out the latest contest in honor of this episode! Maybe you could have a chance to be a part of the team with a level or two of yours being in the episode! Here's a set of levels for players to check out. Hope you guys like them! The Thwomp King wrote: - NO LUNA LUA or related programs that wouldn't work in normal conditions. This is probably the biggest limitation, and I apologize for it. One quick noob question,what SMBX "version" are you using ?My guess it's 1.3.0.1. Correct. I wanna keep things simple while 2.0 is in production. 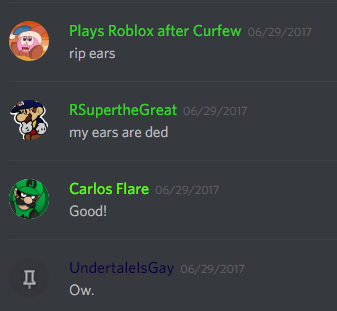 i don't want to make new episodes in 2.0 until it's out of beta for good. Pyramid Schism imo is a terrible level. Whoever made that should kill themselves. Why is the project has No Link? 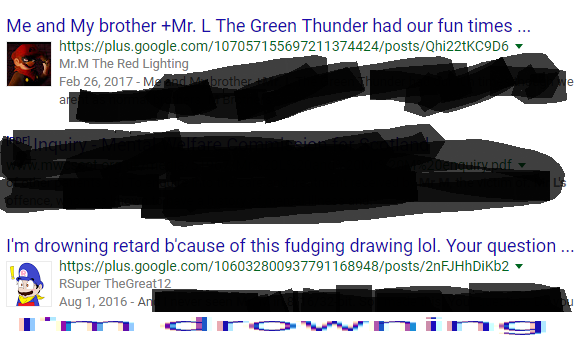 The101MarioGuy wrote: Why is the project has No Link? Are you actually blind ? He meant that Link isn't a playable character. Snessy the duck wrote: He meant that Link isn't a playable character. Shoots, I'm still an idiot. I think he likes all character just like The Invasion 2 and The Princess Cliche.